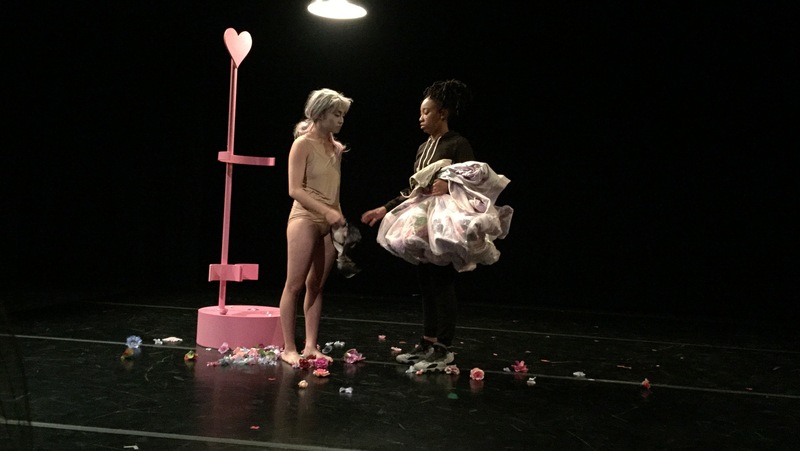 Deborah Slater Dance Theater and Studio 210 present Julie Crothers and Kuan-Hsuan Lee in a double bill evening of research and conversation. Join us for this annual forum that invests in local artists, providing them with space and mentorship over two months. Baby arms, robo arms, swimming arms, old gloves, and broken off fingers – all sitting untouched in a box at the top of my closet. A timeline of the life of a congenital amputee. 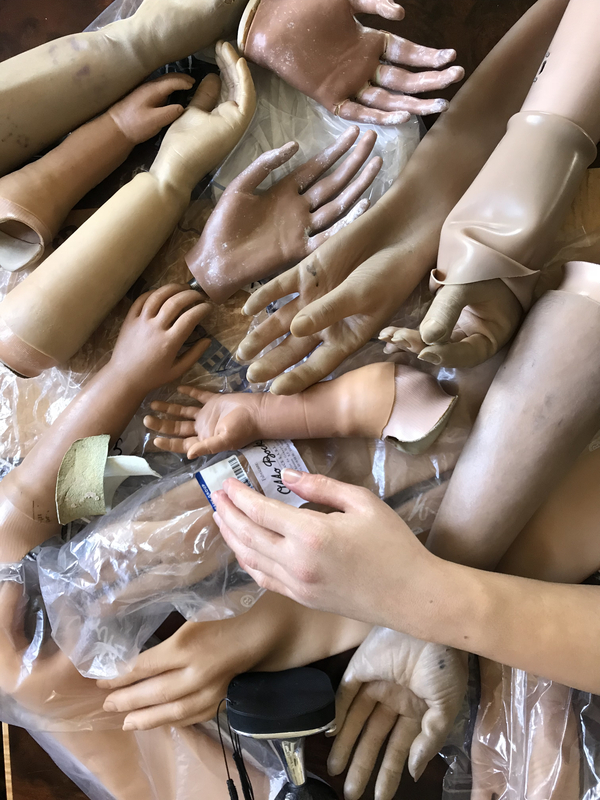 What can be discovered by circling back, unpacking the box, and repurposing my prosthetics as I examine my current relationship to my extra arms, not as something I rely on for comfort or security, but as something absurd, potentially useful, and still deeply personal. I’m curious about how the brain views a body in motion when it has to fill in the holes versus when the holes are filled by something artificial. I’m curious about gestures that hold space for an invisible arm compared to those that don’t. Specifically, I’m curious about what would happen if the left sleeve in my long sleeve shirt grew to 3 feet, 6 feet, 12 feet, so long that eventually all of me is all tangled up in excess, excess of something that was never necessary in the first place. Looking at the whole piece, the elements of “performing” and “watching” was particularly fascinating to me, different pieces constitute different kinds of performing based on “the functions”, “who is looking”, “how/why they are looking”, etc. What is my position in this piece as I also watch myself throughout the process while you are looking at me? I wonder what would my body do and the functions of it doing so. Moments of underrepresented by my own actions for complicated or confusing reasons (or not even), I drifted away from my body and I observed me “performing”. 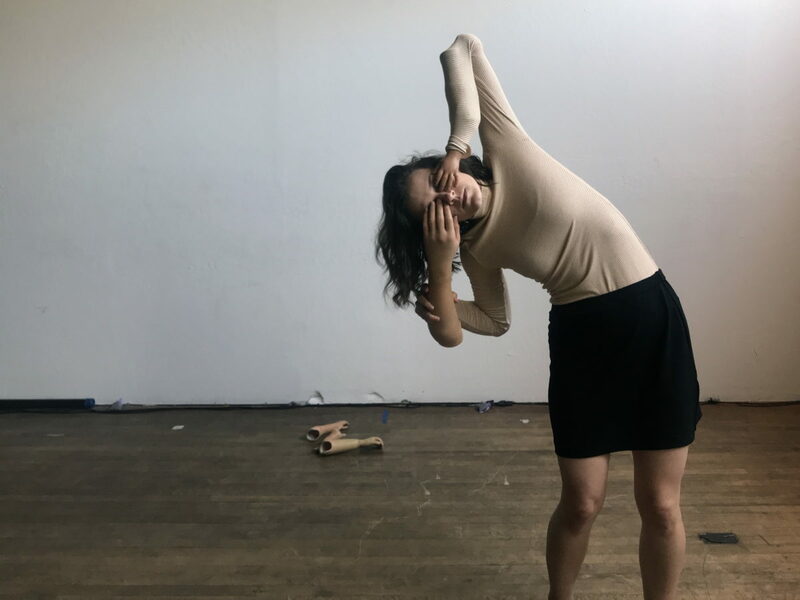 The newly developed solo is mainly researching the idea of objectified bodies and manipulated forces. It is a different focus of research which influenced by my previous work, 人工娜娜/Artificial Nana, a piece specifically drawing topics on female stereotypes and gender performances. These two pieces are coming from a highly personal/emotional place, I placed them together, I look at their relationships with each other, my relationships with them, and my relationship with myself.